The Sun Patient Card is a free prescription discount card program for people who do not have insurance or take medications that are not covered by their insurance plan. 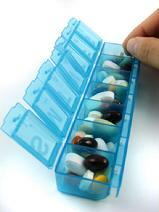 All commonly prescribed medicines are covered. Members should see savings for almost all prescriptions. Please email info@sunassociation.net for additional information.